You want to vote, but can you?? As an EU citizen, it is considered a civil duty to cast a ballot for the continuation of our democratic process. Due to the multilevel governance structure, this civil duty exists not only at the national level but also at the European level. In Europe, citizens are “directly represented at the Union level in the European Parliament” and as such, hold the right “to participate in the democratic life of the Union”.The voting process for the European Parliament, currently the only elections for European politicians, is controlled by 28 different national authorities. 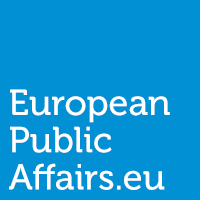 With no streamlined policies regarding voter registration and submission, some European citizens will be caught up in the massive confusion surrounding voting rights for the European election, resulting in potentially significant disenfranchisement and discouragement of citizen participation in Europe’s largest democratic manoeuvre. In order to reveal this largely concealed problem with voting rights, while also maintaining brevity, this shall be intended to illustrate the principles behind the problem – notably myriad scenarios of procedures to endure, inconsistency in relaying what is going on, and states not allowing citizens to vote based on their current location. 28 national policies set forth the required timelines, paperwork, and abilities of citizens to vote. The process is usually determined for each citizen’s case by two factors, their nationality, and their country of residence.There are deadlines and sets of paperwork for every country’s citizens who are currently: in their country, citizens outside their country but in the EU, citizens outside the EU, as well as other EU nationals opting to vote in place of residence. 28 main procedures that then potentially split into 4 procedures per country. If you logically calculate, this makes roughly 112 scenarios with drastically different processes to attempt to cast a vote in the European Elections of 2014. For those of us advocating for citizens to become registered to vote in the European Parliament elections, it is difficult for even us to understand the full spectrum of scenarios, and harder yet when particular scenarios cause even those considered experts in citizenship and voting (far more so than I) to have lengthy discussions of what the procedure is, or if voting is even possible. 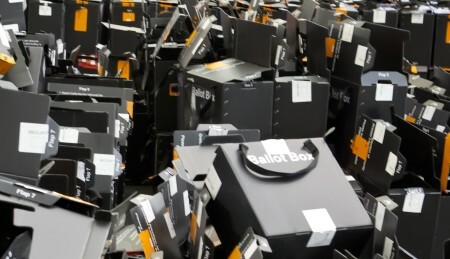 In order to truly encourage European citizens to vote there should not be such confusion, the registration should be as simple as possible, and maybe it is my logical approach, but I see no need to have over a hundred potential scenarios for a citizen to sort through in order to cast a ballot. With 112 potential voting scenarios, it is hardly surprising that there have been many instances of miscommunication concerning proper information to citizens. In these instances of muddled information – no entity is exempt. It appears that the deadlines, which should have been stagnant throughout the entire process, were continuously evolving, as the experts themselves struggled with the isolation of the various scenarios. There have been government sites with corrections to the registration deadlines which had been released to the public, news outlets confusing the different deadlines or using the miss-published dates from governmental sites, and other organizations also fall prey to the quick sand of voting problems, where the more you try to navigate the confusion, the faster you sink. While many have been working to correct this, a quick internet search will reveal many deadlines for this Spring’s European elections, some true, some false. Unfortunately, with mobility as a fundamental right of European citizenship, many voters residing in an EU state not of their origin, do not anticipate problems concerning voting, and have run into problems. Assuming easy registration, most voters abroad in the EU have been starting the process very close to registration deadlines. Too close for comfort, when the convoluted processes required occasionally reveal the inability to vote, or increased stages of paperwork for registration which occasionally puts a European citizen desiring to cast a ballot past the registration deadline, making them ineligible to vote. In select EU states with jurisdictions or constituencies, citizens, living in an EU state aside from their place of origin, also find themselves all lumped in one designated constituency, typically the largest city in the member state. This logically skews the representation of this constituency, providing for an often uncalculated factor in chances of success. Thankfully, some countries send information to their citizens abroad ahead of time to alert them to the potentially lengthy process, or mandatory constituency changes. Yet it must not be forgotten that even though freedom of movement is considered a fundamental right, not all EU member states allow their citizens to vote in the European Parliament elections if residing in another EU member state. While some European member states do not allow a vote to be cast while a citizen is in another member state, even more member states will not allow you to cast a ballot when you are outside of the European Union, even if it is a temporary location change. The truly frustrated citizen, with ample resources, can fly to their country of origin to cast a ballot, but for most citizens this is next to impossible, facilitating lack of proper voice at the European level. Some countries, though requiring registration for their nation’s voter ID cards at their local consulate, do not grant the ability to vote from outside the continental territory belonging to that member state. If you choose to travel back to the continental territory to cast a ballot, don’t forget that identification card sent to your foreign shipping address, because if you cannot produce that id with your proper place of residence listed, you will still not be able to cast a ballot, even if you flew to your MS of last residency. With all respect to member state rights concerning the establishment of electoral methods, there are problems with voting rights and procedures for the European Elections. The ability of the European citizens to have a voice in the EU will be hurt by this continuation of convoluted practices. Some argue that citizens who want to vote will find a way, but enacting one’s right to vote in a democratic society should not encompass jumping through hoops that discourage even the most enthusiastic to give up in frustration. Whilst in election season, we encourage our fellow citizens to register and vote. Caught up in our work, we cannot forget that for many citizens this is easier said than done. What should be simple, is not, and that needs to be changed to make sure we maintain the democratic principles upon which our society depends. With voting procedures, less is more. Having around 112 scenarios only serves to disenfranchise citizens, something no believer in European ideals should support. Previous#EUDebate2014 – EU Commission candidates outline their policies, but was anybody listening? NextThe European elections in Poland: Does no one really care? Not even the politicians? The EU-Turkey Refugee Deal: A Durable Solution? Do you really feel the system can be fixed? With realizations like this, I completely understand why there is a rise in Euroskepticism. It is sad that politicians would be so caught up in getting re-elected that they do not take notice of something as important as this.